As part of our unwavering commitment to making our dental care accessible to our Canning Vale patients, Dentist WA Canning Vale is pleased to be a preferred provider for Bupa Members First Platinum. We care about your oral health and want you to be able to get all of the dental services you need to enjoy a bright and healthy smile. With Bupa Members First Platinum, more will be paid towards other dental services. You’ll also get 60% to 100% back on most other dental services. 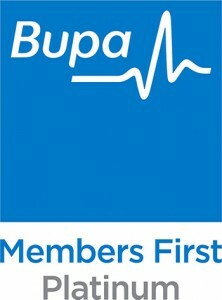 If you’re on an older Bupa policy, you might not have access to the benefits of Members First. To enjoy Bupa Members First Platinum benefits, you will need hospital cover, as well as extras cover, that includes general dental. Please be advised that Bupa’s Fund Rules apply. Bupa bases these limits on usual clinical practice. They mean you can only request specific services a certain number of times within a given period. For instance, Bupa pays a claim for a dental checkup once every six months, except where clinical needs are different. For example, following oral surgery or radiotherapy, more frequent checkups can help decrease risks associated with the operation or treatment. If you’ve recently begun or upgraded your cover, you may have a waiting period before you can take advantage of all the benefits of your new cover. On some policies, what we pay for each dental service comes out of your annual limits. For more information or to schedule an appointment, contact Dentist WA Canning Vale today!